Under Contract, accepting back up offers. Beautiful one-story pool home for sale in Glen Abbey. Located on a half acre lot and at the end of a cul-de-sac. Recent Price Reduction! Lots of upgrades. There are TWO master suites with walk in closets, office or sitting room off of one master with skylights. Open floor plan with 3-way split plan. Separate living and great room with wood burning fireplace. Breakfast nook off kitchen with built in hutch. Separate dining room with pocket door off kitchen. Kitchen features double wall ovens, an island cooktop, bult-in desk, breakfast bar & island, NEW dishwasher in Dec. 2017, and granite countertops. 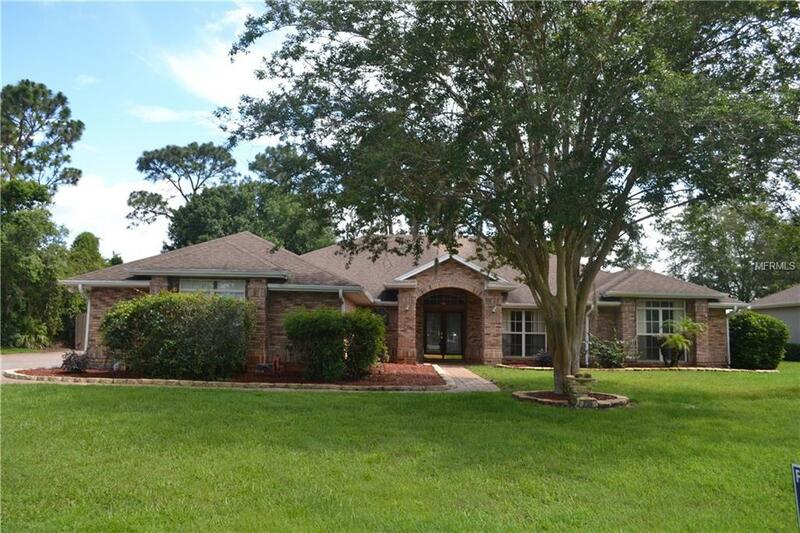 This home is great for entertaining with a screened-in porch and covered lanai. Irrigation system wth superset well for sprinklers. House runs on city water. Saltwater pool system with propane heated spa/hottub. NEW heated system NEW salt cell & NEW saltwater control board. Beautiful wooded lot with privacy fencing. Play set is included. Brick pavers extend on side of house and into private backyard with plenty of room for vehicle parking. Home has built in room to room intercom/monitoring system. All windows and doors are wired for security and beep to let you know when open or closed. NEW A/C unit installed October 2017. Close proximity to Florida Hospital, doctor offices, grocery stores, shops, resturants and approximately 30 minute drive to area beaches. Bring your offer! Pet Restrictions Check With Hoa For Any Restrictions.